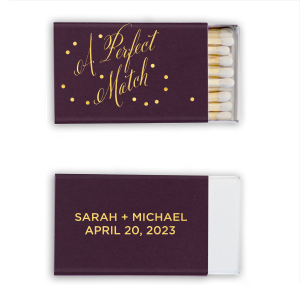 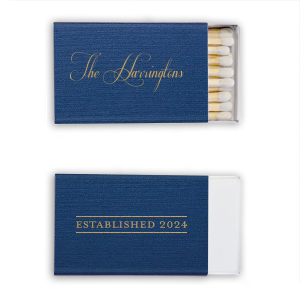 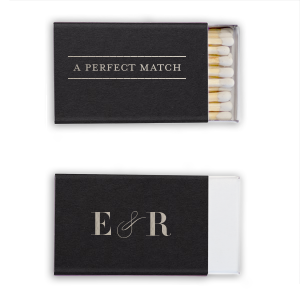 You've been the perfect match for years, so why not choose personalized anniversary classic matchboxes to reflect the spark you share? 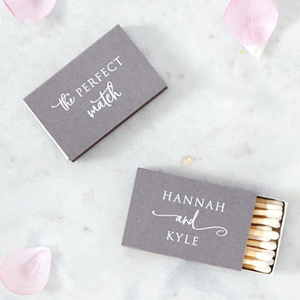 Easily custom design your party favors to complement your party theme by perusing our libraries of design ideas and endless paper and foil stamping color combinations. 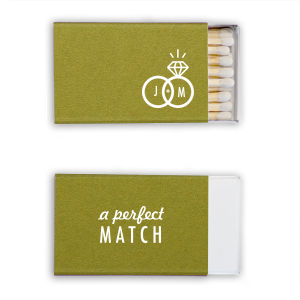 Create your unique matches today! 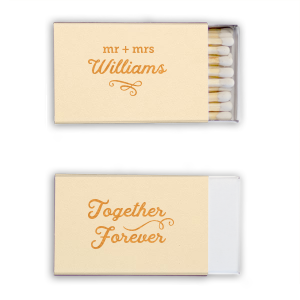 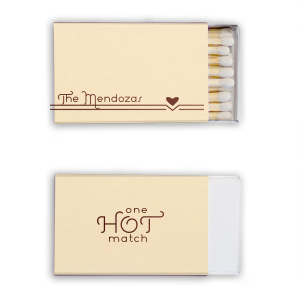 Give your anniversary party an extra spark with personalized anniversary classic matchboxes from For Your Party. 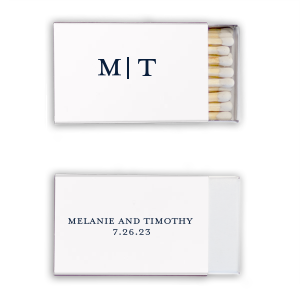 Browse For Your Party’s curated galleries of design ideas and matchbox color options to create your custom designed anniversary matchboxes. Select the foil stamping color and sheen that best completes your personalized anniversary matchbox design, and you're all set! 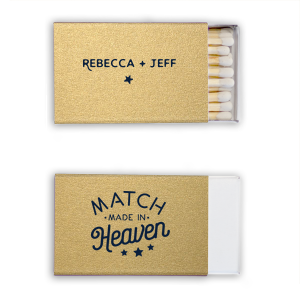 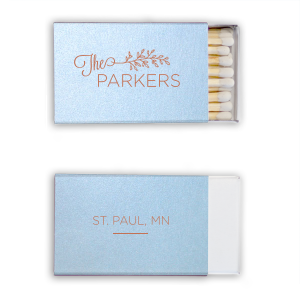 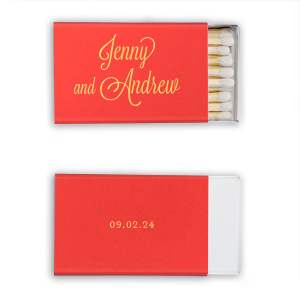 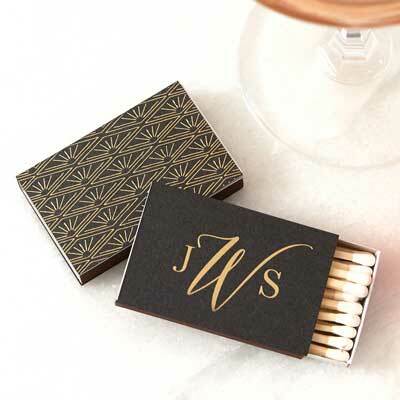 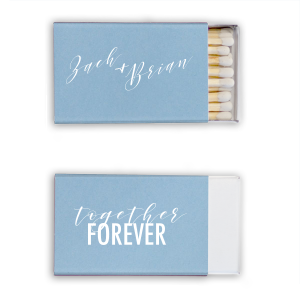 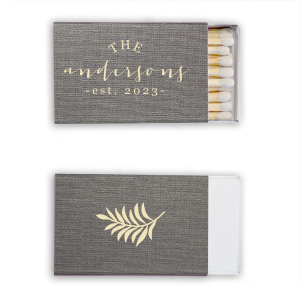 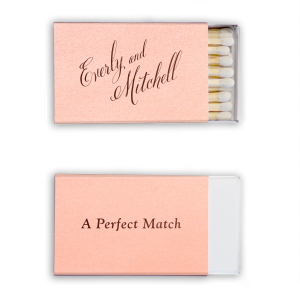 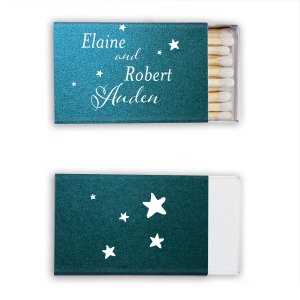 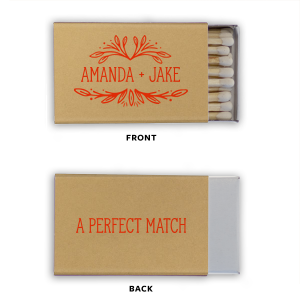 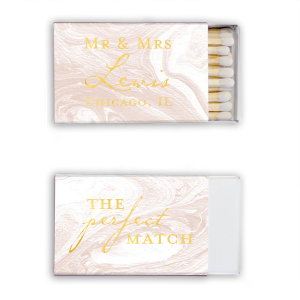 Our personalized matchboxes are hand assembled and high quality. Your party guests will enjoy celebrating your milestone anniversary in the days to come as they use your personalized anniversary matchboxes in the days to come.